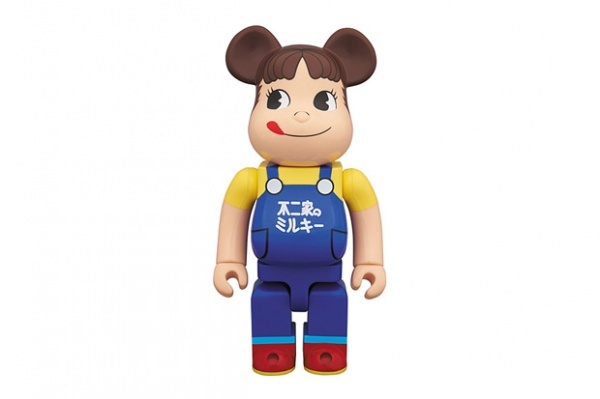 Peko-chan â€” the well-loved, pigtailed mascot of Japanese confectionary store and restaurant giant Fujiya â€” has been given the Medicom Bearbrick treatment as part of an upcoming collaborative release. The figure will be launched in a 400% iteration, alluding to its larger-than-standard 28 centimeter height and will be an extremely limited offering. Scheduled for an August 24 release, the Fujiya Co. x Medicom Toy Peko-Chan Bearbrick will be on sale until September 2 or until supplies last. Look for these at the Ginza Peco Chan Shop.